History of the American Field Service in France. 1920. Introduction. The root of the plant is not unsightly to science, though for chaplet and festoon we cut the stem short. As the fruition of this four years' effort has proven of very practical value, and as its increase has been strong enough to have withstood many temperatures, the process of its growth may interest any one of that good legion in this country which has toiled so steadfastly in the wide fields of war activity. Out of the great number of Americans whose partisanship belonged inevitably to France after those incredible days of September, 1914, there were many, from East to West, who labored earnestly and with such science as only determination teaches, for the building of this Service in France. Even in the first days, when the effort was still too near earth to give promise of any such fine branch as it later bore, the mere appeal of sending our own men and our own cars to work actually at the front as a living evidence of sympathy --- and the possibility that we might so help even a little in conserving life in the French Army --- sufficed to generate the energy which finally carried us over the long road to completion. Friendship spent to its best purpose is reflected clearly enough in the story of our labor in France, but here, too, far in the background, from first to last, were thousands of busy hands creating the opportunity of which that record is the fulfilment. Many volumes would not hold the list of generous deeds in the construction, nor all the sum of fine desire to which this Service proved expression. Those of us who saw the first giving, found in it the revelation of something greater than any material contribution, and it is doubtful if even the knowledge now of all the good achievement can outweigh for us the value in the experience. Those who so gave need no better recompense than that which they must find in memory, and our only tribute can be the full acknowledgment that without their spirit a great purpose would have been lost. Early in 1915, when the prospect of a long war had become obvious, and when no gleam of any such help from this country as it ultimately gave had lighted the horizon, there came forward, it is good to remember, that creditable host of every age and rank whom neither the barriers of politics nor distance could hold back from service. Restless to offer practical expression of their understanding, and of their respect for justice and great courage, they each gave, according to such means as was possible --- in money generously and constantly, or, where knowledge and education could serve, they spoke and wrote the truth; but most of all, perhaps, those who were fortunate enough to be able to give themselves, by going, helped to light our country on its way, not so much by example as by the vision many of them were able to send so clearly back to their own people. Among the first of these were a few young Americans whom chance had found in Europe at the hour of invasion. Quick to take advantage of their fortune, they offered every sort of service, and soon most of them were detailed to drive such ambulances as could be put together with the material available at the moment. During the weeks that followed they labored day and night to probably as useful and stimulating a purpose as they had ever known. Presently their letters written home began to find their way into local newspapers, and by their direct and intimate statement of conditions, did much not only to arouse sympathy, but to formulate sound judgments in communities which had previously shown only passive interest. Later, when the time came for us to make a general campaign for men and cars, every town where such early publicity had been given, proved doubly ready to coöperate. Doubtless the writers of these first letters felt their exploitation to be out of accord with modesty --- or even a breach of confidence --- but they may afford to condone a fault which had so profitable a result. In response to their story came letters to our headquarters from various parts of the country, in most instances from students at college, expressing interest not only in joining the effort, but in increasing it by organizing committees for recruiting and for raising ambulances. For those of us to whom a generous destiny had given the building of the Service, this meant two vital things: first, that by the very spontaneity and force of such means, properly utilized, a wide response would surely be forthcoming and a large work of conservation founded; second, and equally stimulating as a possibility, that by thus enlisting the coöperation of young men from universities throughout the country, a way would be opened of establishing what might develop into a potent and active influence for the Allied Cause, not through the ordinary channel of printed or spoken propaganda, but by virtue of the daily contact which these men would have with the French Army in action, where there could be no foundation for any conviction but truth. We realized in those first days, as now, after four years of constant and intimate relation, does every member of this Service, that we could wish our friends in France no surer talisman of support than that all the world should know the truth of them. WORTH while as such an intention undoubtedly was, the gulf between desire and fulfilment soon became obvious. As the ambition, beyond maintaining the service then existent, was to so increase it as to be able to meet any possible need which the French Army might express, a large monthly outlay was inevitable, beside the raising of a sum sufficient for the purchase of cars, and all other equipment. We had a good cause, an unusually sympathetic means of operation, but at that time no affiliation in this country on which we had a right to depend for any large or responsible effort. A way of winning friendship, a competent organization, and a considerable fund had therefore all to be achieved --- and quickly. The first step, of course, was to interest a few individuals to such an extent as might warrant making a general appeal. Although our two first books, Friends of France, and Ambulance No. 10, which were soon to prove of indispensable help, were not published until some months later, we already had enough letters and records of the days' work to guarantee its value and justify monetary help. Foremost and most zealous in the inception of the fund was Mr. Edward J. de Coppet, of New York. A man of distinguished personality and character, he possessed a rarely generous sense of responsibility toward those with whom a broad and successful life had brought him in contact. Whatever his objective, whether in furtherance of individual talent, of educational or philanthropic purpose, or some civic interest, his coöperation was both active and complete. Most widely known, perhaps, as founder of the Flonzaley Quartette, and a patron of the best in the musical life of New York, he was no less a factor in its business world, as senior partner of de Coppet & Doremus. A generous guide and cheering philosopher to a large and varied circle of friends, he turned his influence and power fully toward our Service. From the moment of our first interview, it was apparent that rather than having to interest him in our behalf, we should have to strive well to maintain the level of his ambition for us. After a kindly but very thorough consideration of the practicability of the proposed effort, he endorsed it by giving a number of ambulances, a thousand dollars monthly toward maintenance, and in addition by setting aside a sum to meet the immediate needs of organization. In a letter of July, 1915, expressing his hope for our future, he explained that in establishing this special fund, he trusted we might find it not merely an incentive to maintain the sections then in the field, but by publishing records of their days' work, and by speaking in various parts of the country, that so wide an interest might be aroused as to make possible sending to France many hundred cars, and a greater number of students from American universities. How accurate his foresight proved he was not destined to know, for he died within the year; but that his hope was so much more than fulfilled was in no small measure due to the spirit of his giving. Many an obstacle was later overcome and many a trial won in memory of our high obligation to him. All that he had intended was made financially possible by the generosity of his son, Mr. André de Coppet, and by the prompt and constant coöperation thereafter of Mr. James J. Storrow, of Boston, who had duplicated Mr. de Coppet's subscription, and had given us his own office at Lee, Higginson & Co., for our American headquarters. Notwithstanding the sound encouragement which two such benefactions meant, we could not properly have succeeded in our larger intention without the approval of several of the earliest and most interested friends of the Service. Mr. Robert Bacon, as President of the American Ambulance Hospital at Neuilly, under the auspices of which we had hitherto operated, was one of the first sponsors of the Field Service, and logically most deeply interested in its successful increase. He not only expressed confidence in our undertaking, but gave us the benefit of his offices and staff in New York, became Treasurer of the Fund, and by wise counsel and frequent coöperation during the next years, did much in the making of our history. Upon Mrs. Bacon, as Chairman of the American Committee of the Hospital, there devolved at this time practically the whole burden of raising the larger part of a million dollars annually to maintain that great institution. In spite of the magnitude of this task, she found time to do many a generous deed in our behalf, and by her advocacy of our cause, established our identity through her committees in various parts of the country, where we might have had no other affiliations. To two other friends the Service owes perhaps as fine an obligation as to any one. From the hour of our beginning until the demobilization four years later, Mr. and Mrs. William K. Vanderbilt, by quick endorsement of our whole purpose,-and loyal support through every trial, were an unfailing stimulus to our energy. In reminiscence of our early history in America, there comes ever a procession of grateful memories of those who helped when we were surer of our desire than of our capacity. Whether the need was for recruits, or cars, or effort in some untried field, to each of them belongs some word or deed indispensable unto the day. So large a part of our structure were they that even to speak briefly of what they did would claim too great a share in a story which justly belongs to youth and its valiant fulfilment of the trust they gave into its keeping. IN establishing the new ambulance sections, it was essential, if the volunteer spirit were to be kept alive, not only that no salaries be given, but that in every possible instance an applicant should pay his own expenses. With the French Army the fact that these Americans whom they saw in so many places, sharing the risks and labor of their days, did so wholly by choice, and moreover often spent their small savings for the privilege, established the sort of friendship which no minor misunderstandings could efface. Every member of the Service endorsed and respected this regulation, but it occasionally proved a barrier to the enlistment of men whose character and experience exactly fitted them for the work. Particularly was this so during 1916 and 1917, when the need for recruits was much greater. A small subsidiary fund was therefore established for such cases, and in our subsequent history appear many proofs that the benefit of money well spent may be far out of proportion to its quantity. As the experience of four years shows that practically half the wounded carried were saved by the promptness with which our cars were generally able to get them to postes de secours, and as an ambulance often carried ten men a day, a driver who had been given the three or four hundred dollars necessary to put him through his six months' enlistment could afford some sense of satisfaction in having brought back so worth-while a return on the investment of his benefactor. Committees were soon formed to arouse interest in the Service both as regards finances and recruiting, in more than a hundred towns and cities throughout the United States. A few of these in the Middle and Far West had permanent recruiting officers, but the majority were temporary, to make necessary arrangements for the illustrated lectures. These committees were in nearly every case financially independent, raising their own funds to recruit drivers or to donate ambulances, but sending, through a local treasurer, upon fulfilment of their effort, the net sum of contributions to the American Headquarters of the Service. The only exception to this system was the Chicago office, which was wholly independent, from first to last, of our American Headquarters, financially and otherwise. Owing to the liberal contribution of drivers and cars which that city and neighboring places and universities had offered, it seemed best to establish a permanent committee to control directly all the business and personal questions in that part of the country. To Mr. Chauncey McCormick, and later to Mr. Charles B. Pike, who succeeded him as Mid-Western Representative, as well as to Mr. Charles L. Hutchinson, the Treasurer, and Mr. Samuel Instill, Chairman of the Chicago Committee, the Service owes one of the most vital and useful factors in its construction. 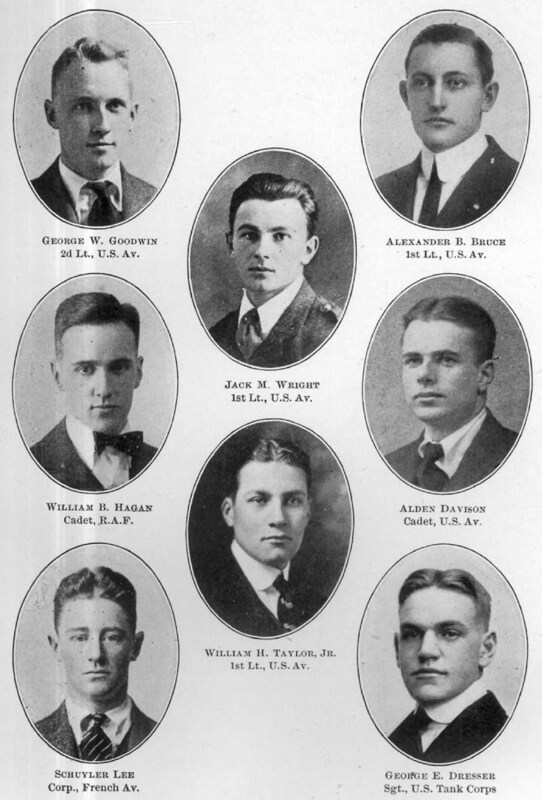 Recruiting committees were later organized in thirty-three of the larger colleges and universities, consisting generally of the President, members of the faculty, and representatives of the leading elements in the student body. As these committees, owing to the limited number of men we were able to provide for, could choose only about forty per cent of the applicants, the character of the personnel was of the first order. In the journeys of our speakers through various parts of America with the moving pictures which the French Army had taken of our men on duty, the interest in and knowledge of events in Europe varied much less than might have been expected. Wherever there was little enthusiasm it seemed generally to have been the result of even less first-hand information. Although publicity and businesslike preparation for showing the pictures naturally increased the size of our audiences, the proportionate returns seem to have depended more on the sympathy and revelation of the pictures themselves than on the size or type of audiences. I find that the utmost forethought and energy has been spent here in regard to our pictures. The films were shown in the ballroom of the Hotel Statler. Such prominence had been given to the event through a continued campaign of publicity that practically all of Cleveland society came together for it. Early in the evening many dinners were given and every private dining-room in the hotel was occupied. After the preliminary talk and pictures, a ball took place. As entrance was by invitation, with a charge of ten dollars, quite a sum had been thereby raised. The interest shown in the first two reels was so keen that an earnest appeal was then made for ambulances. Twelve were promptly contributed in this interval, and four more later. Before the evening was over, numerous others had been added, so that more than fifty thousand dollars resulted. Within two days, this amount had risen to eighty-seven thousand. This is essentially a mining town, and with foreigners of every description --- some of them whose mother countries were of the Allies, but many whose antecedents were not so. We arrived just before registration day, and as the authorities expected trouble, saloons were closed, the militia in readiness, and the crowds freely displaying the red flag. Our meeting was held in a large theatre, and the place was jammed. I and several of the committeemen, on the stage, were at first hissed. Most of this disapproval seemed to come from the balconies. The authorities had taken every precaution to avoid trouble, and there were plain-clothes men stationed behind the scenery on the stage to protect us. Antagonistic, or at best indifferent, as the audience had proved itself, as the performance went on they became quiet. After the pictures were shown, there was a strong appeal made. The result was surprising. When the committee in charge counted the proceeds, it was found that seven hundred dollars more had been given by the miners in the balconies than by the representative citizens in the orchestra, generous though the latter had been. That this liberal response was forthcoming as the result of merely relating our story, and in spite of preconceived prejudice, seems proof that any war apathy that may exist in such towns as this in the West is largely the result of lack of sympathetic information. The final comment of this speaker is accurate enough as far as it goes, but unfortunately we had evidence of something more than lack of information. Misinformation and malice, both covert and obvious, were daily acquaintances, sometimes from clubs or organizations, and often from individuals --- all of Teuton sympathy. During the first two years, when free expression of anti-Ally opinion involved no penalty of ostracism, as it later did, we met at least some spark of enmity in almost every community, and not infrequently encountered the real flame. While we could not hope then to do much toward stamping this out, we knew that by going through it and succeeding in our particular determination, we should become part of the integral triumph. Once or twice, owing to this enmity, the appointed place of showing our pictures had to be changed, or an engagement postponed, and even the legality of our sending men over to serve with the French Army was challenged; but such opposition, it is almost needless to say, kindled only a more determined zeal among those who had our interests in hand, and the outcome was accordingly always in our favor. The press notice and publicity resulting from these pictures lent a keen impetus to recruiting. Harvard, Cornell, California, and many other colleges, and cities throughout the country, contributed large numbers of men and cars. The first section of men to go across as a unit was sent by Leland Stanford University, and sailed directly after the German declaration of unrestricted warfare, two months before this country entered the war. Stanford later recruited two more sections, and within a few weeks Princeton and Dartmouth each sent four complete units. Harvard, which sent over two units at this time, contributed from first to last nearly three hundred and fifty men to the Field Service. The city of St. Louis gave the first section of ambulances and drivers equipped, and wherever necessary, financed, Cleveland, Chicago, Buffalo, and many other cities showing similar activity during the spring of 1917. General and civic interest in the departure of these volunteers was evident in many ways and places, and even before our actual entry into the war they met with many tributes of approval and enthusiasm, such as the public presentation of section flags, and various other farewell ceremonies in their own cities and in New York. One of the finest sections (camion) in the service, both as to character and record, was the youngest as to personnel. Phillips Academy, Andover, shortly before the American declaration of war, organized a unit, of their own volition, without our solicitation, and despite the natural reluctance of their families to have them go before the day of necessity. The admirable standard of Andover's whole war service was due, at least in part, to the character and attitude of the Principal, Dr. Stearns, Certainly in our relations with the representatives of a hundred or more colleges or universities in America, we met no finer individual force than his. Among the many volunteers who crossed on the steamer with this unit, there were some who expressed skepticism as to such "boys" being able to "see it through." In a friendly sparring contest in settlement of this point a few days later, however, two of them, Frank Talmage and Schuyler Lee, proved ready victors. Almost within the year of their arrival in France, Lee and three of those who went with him --- Bruce, Taylor, and Dresser --- had died in battle. Willingly enough they gave their youth, and their right to the light of life and friendship. We who knew them, and all that they were, realize the fulness of that offering. They never looked back but to quicken those who followed, and so perhaps led more surely than they knew. Out of their dreams they have left us great realities --- and many tasks to make worthy these days that are still ours. The accumulating pressure immediately following this success made necessary much greater staffs in all our offices. At this time there were many hundred men weekly to be dealt with, from each of whom we had to get six letters of recommendation, a birth certificate, a guaranty of non-German parentage, a written consent of parents or guardian when the applicant was under age, a certificate of inoculation, a driver's license, etc., in addition to much preliminary correspondence. During the later spring it proved necessary to place representatives in the War Department, to adjust military technicalities; in the Bureau of Citizenship in Washington, to attend to the matter of passports; in the Compagnie Générale Transatlantique, New York, to arrange details of sailing; in the Consulate, and various other offices. Moreover, during the days of transition which followed, communication had to be established between all our men of draft age at the front and their respective draft boards in all parts of the country ---entailing a vast amount of complicated correspondence. In Boston, by courtesy of Lee, Higginson & Co., our large staff was amply cared for as to working quarters, for in this emergency, as well as all others from beginning to end, the late Major Henry L. Higginson gave us his support and personal interest. In all the risks and swift decisions of those days, the Service had no more constant watcher and ally than he. Always when we needed sound, courageous judgment to justify or to confute a seeming obligation, he stood ready both with advice and with responsibility. Appreciating his many other exacting interests, we might perhaps have spared him our problems, but all of us who knew him felt that one of the finest factors of his citizenship was that he cared more to share the burdens than the triumphs of his friends. It would have been unwise, and impossible, to have been near him and not to have turned to him for advice in the creation of any great work. In New York, as the port of embarkation, a multitude of recruits had to be helped through the exigencies of departure, and an immense number of problems had daily to be disposed of. In facing this almost limitless increase of detail, we had looked often, if with inarticulate longing, at some fine offices close to our own, and belonging to the estate of the late Mr. J. Pierpont Morgan. Large and perfectly equipped as were the offices which Mr. Bacon allowed us to share, all the American interests of the Neuilly Hospital had to be cared for there, so that the omnivorous demands of our growth seemed an imposition. Mr. Bacon had already gone to France on General Pershing's staff ; so after one most busy and congested morning, we were spurred into calling upon Mr. J. P. Morgan and to confiding in him our difficulties. Within the hour he had arranged that we should take immediate possession, gratis, of the coveted quarters. As this gave us five large rooms directly across the hall from where we were, we had only to reinstate ourselves and were thereby spared the inconvenience and confusion which a change of address would have involved at such a crucial time. Of the many recollections of our four years, these days were perhaps at once our most stimulating and our most discouraging; at one hour full of new opportunity too fine not to be met, and the next moment facing some impasse of red tape or changing regulations. The race to meet the unprecedented demands upon our energy and resources, before the inevitable arrival of centralized and governmental control of all such work as ours, was only won by the younger members of our staff, who labored voluntarily during long days, and then met in almost nightly council in order to deal better with their problems of the morning. Many a thrust they parried, and many a means they found, where those who were older and more fearful of result might have paused, and so missed the good achievement. Should there be here and there some one who remembers an inconvenience to himself, or some inaccurate direction in passing through these offices, let him wonder now if in those days he spent his energy to any better purpose than did they. Confirming our conversation of this morning, I beg leave to say to you, as the Representative of the American Ambulance Field Service, that the War Department looks with appreciation and approval upon the splendid service being rendered by American citizens in France in association with the French Army. These young men are serving their own country in the highest way by their courageous contribution to the efficiency of the armies of those associated in interest with us in this war. I, perhaps, have no right to urge that they remain in France now that the United States has entered upon active military preparation in the conflict, but, at least for the present, a substantial number of these young men will not be needed here, and the training they are securing, while a mere incident to the service they are rendering, will qualify them to be of especial value in the American Army at a later time. To a similar telegram sent soon after by the Secretary of War to our California and Stanford Units, he adds, "I congratulate you that you are about to join a chosen company of Americans who have rendered distinguished service." RESOLVED, that the University Faculty advises that the several faculties recommend for graduation all members of the senior class in good standing, who would normally graduate in June and who are enrolled or may enroll, in the land or naval forces of the state or nation, and whose services require their absence from the University. RESOLVED, further, that the above provisions apply to those students who may become members of the American Ambulance Field Service in France. 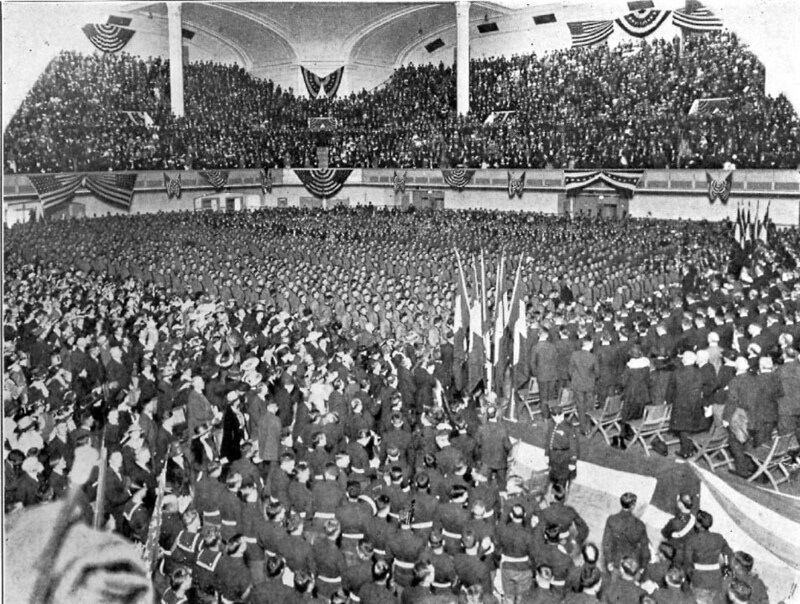 Immediately thereafter, Harvard, Princeton, Dartmouth, Leland Stanford, and practically all the universities and colleges throughout the country passed similar resolutions granting to the members of the Field Service the same academic privileges as were given to those entering the United States Army or Navy. During 1915 and 1916 the growth of the Service, though constant, was very gradual, but during April, May, and June of 1917 it exceeded any figures which could have been logically foreseen, especially as we had made less effort at this period than previously. This perhaps resulted from the fact that very many of those who had seen our pictures, without responding at the time, felt it the most sympathetic way of giving after this country had actually entered the war. Until this time we had experienced no insuperable difficulties in shipping all necessary material to France, or in building ambulances as quickly as they were given. Realizing that a greatly increased output of cars would be necessary to meet the increase in enlistments, we had purchased several hundred extra chassis, a great quantity of extra parts, and had engaged to send to France a number of mechanics to meet the emergency. We had made arrangements in regard to shipment with the automobile companies, the Clearing House, and steamship lines, and a quantity of chassis were on the piers in New York awaiting embarkation. Just at this period, however, the French Government, to fill an exigent need for aeroplane construction, assumed practically the entire use of the staff and shops of Kellner, at Billancourt, to which was attached our assembling and repair park, and where were built our ambulance bodies for the chassis we shipped from America. At the same time there occurred an unusual shortage of available shipping space from this country on trans-Atlantic liners, owing to exports of a nature vital to the Allies, and which had to take precedence over our equipment, so that we had no alternative but to submit to the delay at this time. To our further trial, we had just lost a large consignment of chassis and parts by the torpedoing of the S.S. Orduna, moreover, the Red Cross, in the fulfilment of its titanic task, was obliged to assume complete use of the Clearing House. As soon as it became apparent that we could not for the time being promise to put large numbers of new cars into the field, we refused to accept further such donations, and offered to individuals and organizations that had given cars at this time the prompt return of their contributions, if they felt unwilling to submit to the inevitable delay. Too warm a tribute cannot be paid to those who bad so contributed, and who then gave proof of very generous understanding and confidence, for of the several hundred cars received just previously we were asked for the return of only four. Within the next few months every car given had gone into the field and subsequently served its purpose well with the United States Army Ambulance Corps. Perhaps the most exigent problem, however, resulting from the unexpected difficulties of shipment and construction, was that several hundred drivers who had just sailed could not be advised of the changed circumstances until their arrival in France; also, we had just accepted as drivers many men who had left their former addresses too late to receive the notification before arriving in New York to sail, and there naturally resulted many personal equations to be solved. But the men showed a most generous spirit of readiness to adapt themselves to delays and disappointments during these weeks, and putting aside their individual preferences, did the most helpful part. JUST prior to this, during a period of unusual activity in the region of Soissons, we had received, through Commandant Doumenc, Director, at the French Ministry of War, of the Automobile Service, an urgent appeal to the effect that if it should prove possible for us to supply them with personnel for transport sections for the carrying of ammunition and supplies, we could so render the utmost service. We were advised that they had a sufficient number of trucks, but were at this time ten thousand drivers short where it was proposed we should coöperate. In view of the exigency of this need, and the temporary difficulties in the output of ambulances, we could not have done otherwise than accept this obligation. As soon as feasible, therefore, this new branch. of the Service was inaugurated, and an appeal made to men who had recently arrived to help in the accomplishment of this purpose. Some of them, who had sailed just before this development, of course felt morally bound, on arriving, to serve only in accordance with the understanding of their friends in America who had made it possible for them to come over. Through the courtesy of the French Army, which soon after loaned us some ambulances pending the assembling and equipment of the last contingent of our own cars, the desire of a majority of the men who were willing to wait was accomplished after a few weeks' delay. A large number of drivers, however, were free to choose, and though perhaps preferring ambulance, accepted the Camion Service. Whatever the value of our work in France has been, these men should have the satisfaction of remembering the double share of credit which is theirs. To their spirit was no doubt largely due the fact that, hard and unromantic as this work was, the eight hundred Field Service men who entered the Réserve Mallet later fulfilled so effectively, as their record proves, a highly important purpose. The taking over of the Service by the United States Army was not only to be desired, but for several reasons was inevitable. Our declaration of war and the subsequent preparations for sending over our expeditionary force, which involved strict draft regulations, had placed members of a volunteer organization at the front in a technically ambiguous position. While the record and standing of our ambulance drivers with the French Army was of the highest order, as the honors and citations conferred upon them testify, it was obvious that the work that they had undertaken voluntarily had since become an obligation. The changed circumstances made many hundred of our men feel that having fulfilled the original spirit of their intention, they were now free to enlist as they chose. During the subsequent months a large number entered artillery, aviation, or other branches of the army. About sixty per cent, however, remained as members of the ambulance and transport. More than a hundred of our men, with fine records and long experience, who were anxious to enlist for the duration of the war, were rejected on account of slight physical defect. Be it said to their credit, the majority of them subsequently entered the French Artillery School at Fontainebleau, and graduating in due course, became officers in the French Army. 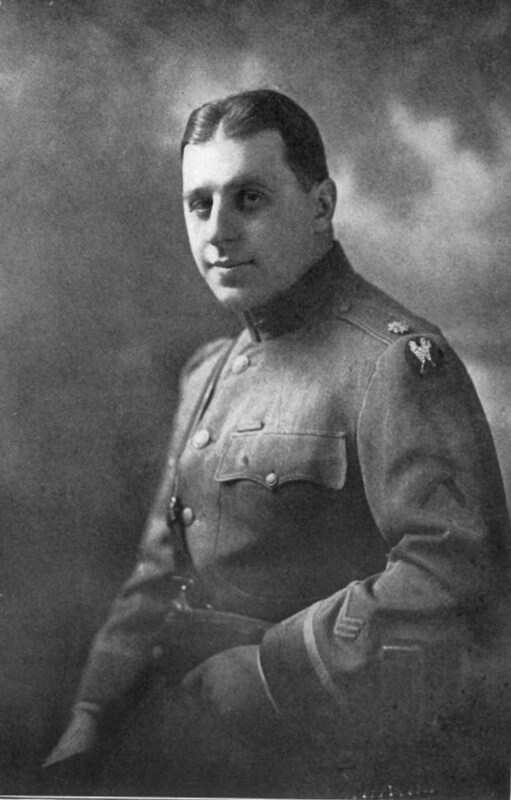 The most potent factor, however, necessitating our enrolment in the United States National Army, was that when the first French commission arrived in Washington in May, 1917, General Joffre was asked by Surgeon-General Gorgas what immediate service the United States Army Medical Department could do for France. His reply was a request that the United States should undertake, as far as possible, the responsibility of caring for the wounded of the French armies at the front. A more satisfying tribute could scarcely have been paid the Field Service than this request that the work it had carried on in France for more than two years should be supplemented and entirely assumed by Americans. As a consequence, General Gorgas authorized, through the Secretary of War, the organization of the United States Army Ambulance Service at Allentown. During the period of our transition from volunteer to regular service, our staffs offered the Army as complete coöperation as they were able, recruiting for it through our University committees, and all our offices, as long as it proved possible. If we could not, perhaps, wholly repress a sense of regret in having to yield all rights of administration, and the satisfaction which an intimate knowledge of each day's achievement in such work as this meant, it was compensation to remember that the Americans whose initiative and energy during the first three years had made so fine a record in France, and we whose opportunity it was to stand behind them, were able to turn over to our own Army at one of the greatest moments of need in its history, so useful an organization. No true ledger of our account can exist without recording the one obligation underlying and supporting all the traffic of our days. Every one who helped in this country to make the Service will surely most care to acknowledge the debt we owe to American youth. In relation to our work, certainly, its influence was paramount, and upon its desire to be part of a great purpose we were able to build a very useful structure. Changing needs and complications made many a day's labor seem on moving sands, but through the unflagging energy and resource of those who served us by speaking and recruiting throughout this country, and by doing their part in France, the work was at last well accomplished. To them is truly due the fulfilment --- and they brought back high interest on all that we were able to contribute. Had they done anything else, or anything less than they did, the rest of the effort would have proved of little consequence. Those of us whose chance it has been to have had a part in the administration of the Service, to have shared its success, and to have gained through it much credit and many friendships, owe to these men all of this, and more. During the four years when they passed through our American offices, and later gave fine measure of their character in France, they were among the first to bear evidence of a spirit which existed in this country behind the quiescence of the first three years of the war --- and afterward among the foremost of those who made the larger sacrifice, and won. The pages and roster of this book are testimony enough of the first and final worth of what they gave. Some of them fought and died as they would most have wished. Many of them had opportunity for leadership, and so distinguished themselves; to others chance gave the less inspiring share of obscure service, but where their part held for them only unheroic toil and long months of inaction, they did equally well. Through the burdens which we have been privileged to assume in their support, most of us have probably reached as high a mark of satisfied effort as we shall know. Remembering that, and realizing how much they have passed through that was worth while, we may have sympathy with their problem of the future. If for us there is some poignance in having finished an era of unselfish labor, even less stimulating it must be for younger men to suspect, as some of these doubtless do, that they have reached their zenith. In all the pageantry of war, with its vividness and shadow, many new values have come before them, and their imagination has been quickened so that their question is no longer merely that of "making a living." As we pause on finishing a book that has taken us far out of ourselves, so the majority must feel in having closed the most stirring chapter of their lives. Keen enough, as they have proven, to give their utmost, they are not now content to waste it. For whatever of discomfort and occasional resentment their days in France may have held, there was compensation in the living drama. There, too, duty was clear, and they knew that in the end the experience would be worth all cost. Finally, they had there companionship and mutual understanding with a greater number of those about them than any other phase of life could bring. The spirit which led them to France by inclination, before the time of obligation, is the same that in considering the future makes them hesitate to dedicate themselves permanently to a purpose with little human interest. In the maze of possibilities they have come home to face, some may be fortunate in finding their desire; but very many will have to be content with small monotony, unless those of us whose lives are more established can serve them to finer purpose. That they are unconscious of the debt we owe makes the obligation doubly ours. When one of these men cares to bring us the question of his future, we may rightly feel inclined to stand up, not only in tribute to what he has done, and the way he has done it, but because so largely in him lies the solution of the disorder war has left. It is for us to make him comprehend our confidence in his capacity. If we can put many such men forward with the knowledge of our reliance on their strength and resource in meeting new problems in their own country, as they have met the greater crisis, we shall have done something for them, more for ourselves, and much for posterity. As a useful factor in Franco-American relations, this small group of volunteers may still prove of value beyond their numerical proportion. With such influence as is theirs by affiliation and training, with their willing sense of responsibility, and of the debt they each wish to pay for the fine friendship and example they found in France, they will do much to see that that which they have won shall not be wasted. Nor has France forgotten the spirit of our coming. In the spring of 1917, when we were soon to become a part of the American Army, a distinguished French statesman, then on a mission to this country, said: "If in the course of events which are to come the Field Service may seem to lose its identity, that really can never be possible. To every man in our Army it is the finest tribute of friendship you could have paid us; and your work will be always a page in the history of France." It has become now as fairly a page of credit in American history, that our future compatriots may gratefully read, though they perhaps pass over it with little realization of many values within the obvious story. For each of us who has had even a small part in its making, it is the chapter we shall ever know best by heart, and in relation to the whole sum of our advantage in the doing, these volumes can seem but fragmentary facts and figures, since between the lines for us there lies unwritten so many an example to make clearer the problem of our days. In the beginning we sought our task with the will to help whenever and however it should prove possible; but just how small our sacrifice was destined to be, in comparison to that of the friends we meant to serve, nor how sure our own compensation, we could not have foreseen. We went forth unknowing. But if we were not deep enough of vision to first approach with fitting deference what were to prove ultimate lights for many of us, nor to suspect how deeply the revelation might govern our perspective, now, after these years, we stand in still respect for what we have learned. In weighing all the privilege and gain this Service must ever find its greatest asset in having served from first to last beside the Army and the people of France --- their friends through many dark, immortal days. Constancy to such a relation would in itself have been enough to make its members ever zealous in duty --- but even selfishness could have sought no larger profit than that which they have gathered. For most of us it has been truly sic itur ad astra, and on that far journey there passed before us a standard good to remember and to uphold in facing whatever part each of us may have yet to do for this country of our own. In going first to France we took what seemed our best, but now returning we have brought a finer thing than ever we were able to put upon the altar of our good intention. *Of Boston, Massachusetts; American Representative of the Field Service, 1915-16-17; later Director of the A.F.S. Headquarters in France, 1918-19. Bien avant, l'âme de la France, courbée sur la tranchée qui arrêtait le flot envahisseur, avait été profondément émue quand elle avait appris, aux heures sombres, qu'en Amérique les actes avaient précédé les paroles. THE story of the American Field Service will be found in the section histories and in the narratives that follow, a story which shows the life that these American volunteers shared with their French comrades for upward of two years. The reader will judge for himself what the Service gave and what its members gained in serving. He will find there, above all, what these three thousand men saw and learned of the French soldier, with whom they considered it a privilege to serve, during the years before America's entry into the war. The opportunity which these three thousand men enjoyed was necessarily the result of the founding and perfecting of an organization which could fulfil a need of the French Army. It was necessary, not only to foresee its value, but, once this was established, so to organize it as to meet the demands of the army it was serving. It is the purpose of this article to show, by following the growth of the Service, the various steps which had to be taken to meet the continual demands of the Automobile Service of the French Army; and it will be seen that these demands kept growing as the Service gained in efficiency and size. It is of interest to note that not only was there no precedent to follow, but also that the ever-changing needs of war continually called for unforeseen developments of the Service. This was a task which required confidence, vision, and courage in its leadership. Mr. Andrew realized, from the moment of its first success in 1915, that in perfecting the organization in every detail he was laying a foundation which could be built upon as money and volunteers were forthcoming. His task from then on was twofold: first, to maintain the standard of efficiency of the sections; and, secondly, to increase the Service as rapidly as possible. That he accomplished this task the story of the Service will show. Its accomplishment meant not only the transportation of hundreds of thousands of French wounded, thousands of tons of shells and supplies, but also, and what was, perhaps, of equal importance, the exertion of an ever-increasing influence on American thought and sympathy in favor of France and the Allied Cause. This chapter can be divided into three distinct parts --- for each of the three years was distinguished by certain results --- results upon which the following year's plans and work were based. The first year saw the success of the initial conception of the Service; the second year showed relatively small but very definite growth, and gave a full participation of the Service, with the complete confidence of the French Army, in the great battle of Verdun. In addition, the organization in America was developed and experience was gained in this branch which gave, in the third year, thirty-three ambulance sections and fourteen transport sections to the French armies at a most necessary time, for the hardest of battles were to be fought this year at many places along the front. Moreover, it insured the incorporation of both branches of the Service in the United States Army. IN the month of April, 1915, all the preliminary arrangements for a volunteer ambulance service on the front had been completed. These arrangements had proved no easy task, for the French authorities had had some bitter experiences with spies masquerading as neutrals and much disillusionment as to the value of amateur war-workers. They were slow to be convinced that an organization composed entirely of amateur neutrals could give any real service. They had been perfectly willing to use volunteers in the evacuation of hospitals in the rear zone, but it was not until Mr. Andrew had succeeded in persuading these authorities that young American volunteers were more fitted for work at the front, and had guaranteed that only those whose loyalty to the Allies was unmistakable would be allowed to serve, that at last they permitted sections to be formed under army standards. So, in April, three sections were partially formed from the volunteers and cars which had heretofore been serving in scattered squads. These sections, when completed, consisted of twenty ambulances, a staff car, a supply car, each with a personnel of an American Commandant-Adjoint and about twenty-five drivers, in addition to the French personnel. Section Sanitaire Américaine No 1, as it was officially called, being formed from squads already working near Dunkirk, was at first stationed in that vicinity; Section Sanitaire Américaine No 2 was organized in Paris and sent to Lorraine; Section Sanitaire Américaine No 3 was also formed in Paris, and was ordered to the Vosges Mountains. The service rendered by these three sections during this year was one of real achievement which went even beyond what had been hoped for. Section One, having given an excellent account of itself in the long-range bombardments and air raids at Dunkirk, was rewarded by being entrusted with important work in Belgium at Coxyde, Nieuport, Poperinghe, Elverdinghe, Crombeke, and other postes de secours during the battles along the Yser. Section Two had to win recognition in a region already served by a French sanitary section and to which it was attached to do secondary work. The Section not only accomplished its own work, but made it possible for the French section to be withdrawn from this sector, the Americans taking over the postes de secours in and near Bois le Prêtre, a sector at that time renowned for its continual and heavy fighting. Section Three was entrusted with a sector in which, previously, automobile evacuations could only be performed far back of the lines owing to the mountainous country. The Section was able to send its light cars up over the narrow mountain roads to the postes near Metzeral and at Hartmannsweilerkopf, thus substituting automobiles for mules which had been, up to that time, the only means of transporting wounded. The three sections had faced three separate transportation problems. In Belgium, the cobblestone roads with the deep mud had proved no obstacle; at Pont-à-Mousson, the heavy ravitaillement convoys had not slowed up the small ambulances; in the Vosges Mountains, the steep grades had given the opportunity for the replacement of the mule. There could be no doubt that the light car which had been selected was an admirable choice and that it had fulfilled every test of front-line work. Although the solution of mechanical difficulties was of vital importance, the success of these three Sections was due at least as much to the type of men who had volunteered for this service. Already the universities were furnishing the largest quota of men. They brought to their work youth and intelligence, initiative and courage. In November, 1915, at the request of General Headquarters, a fourth section took its place in the field --- perhaps the greatest proof of the efficiency of the three early sections. The year 1915 closed with three sections well established and a fourth finding its place on the line. The initial problems of section organization and section relationship with the French Army had been defined, and four French divisions were being officially served by American volunteer ambulance sections. IT was evident at the beginning of 1916 that the Service now firmly established at the front was the natural expression of that desire to give active and personal aid felt by many Americans. To those who were in the Service, and who knew what man-power meant to France, even at that time, it would have been a betrayal of their own action if they had not wished others to follow their example. To pursue this policy, it was necessary to give publicity in America to the work the American Field Service was accomplishing as well as to lay plans for the probable expansion of the organization. It was a suitable period for this work. The early winter, from the point of view of the sections, was not an active one. Section One, attached to a colonial division had moved to the Somme; Section Two was still at Pont-à-Mousson; Section Three had moved from Alsace at the end of January to repos near Nancy; and Section Four was receiving its baptism in the rather quiet Toul Sector. The material for a book, Friends of France, was collected and sent to America; moving pictures were arranged for with the help of the French Government, with a view, not only of showing at home what the Service was accomplishing, but especially of presenting through the eyes of these American volunteers the appeal of the Army with which they were serving and the truth of its cause. As for the interior organization of the Service itself, a new system for the repair work of the cars was established. Previously spare parts and Ford chassis had been bought from the Ford Company in France to meet the current demands of the sections. With an enlargement of the Service, this hand-to-mouth policy was inadequate, and it was wisely decided to import parts from America and to organize a repair park, which was not only to serve as an overhauling and assembling park for ambulances, but also as a warehouse and distribution point for spare parts. The office and the quarters for the new men needed also to be changed. In the American Ambulance Hospital in Neuilly, which up to this time had served as the Field Service Headquarters, there was only space in a little outhouse (comprising one room and a telephone booth) for the office, while the attic of the hospital was the only available dormitory for the men. It was hard to find a place which would be adequate, but fortunately no hasty decision was taken and the problem was eventually solved by the generous gift of the spacious house and grounds at 21 rue Raynouard. A mistake in moving to quarters smaller than these would have resulted in a difficult situation later on. The spring and early summer of 1916 brought great activity for the Service. Late in February Section Two moved to the Verdun sector, where it was assigned first of all to the service of evacuation from triage to H.O.E. This service is the hardest test for a volunteer ambulance section, for it means long runs on crowded roads without the excitement of front work, still harder here in the Verdun battle, where the first great test of automobile transportation was forced on the French. The faithfulness with which this task was performed during those interminable months proved that, under difficult circumstances, even long evacuations could be handled well by the light Field Service cars. Section Four moved to Verdun from the Toul sector early in June with postes on the left bank of the Meuse, the poste at Marre being not two hundred yards from the German lines. Section Three was the next to take its turn. Ordered from Maxeville on the 20th of June with its division, it arrived near Verdun at one of the most critical periods of this long battle. Its division was placed in the line on the right bank of the Meuse, the Section serving the poste at Bras and evacuating directly to Verdun. It was at this point that the Germans nearly broke through, and the road was under continual bombardment, the village of Fleury, to which it led, being taken and retaken several times. The division was taken out after a week and the Section went on a well-earned repos, curiously enough to Pont-à-Mousson, the old home of Section Two. The Bras poste later became familiar to many sections; Four, Eight, Nine, Eighteen, Sixty-Four, and Sixty-Nine having especially difficult evacuations there. Long after Section Three had left, Barber's car, smashed by a shelf, still stood as a landmark by the side of the road. Section Eight, formed in Paris in June, 1916, and sent to Champagne for a week, was transferred to Verdun, with its cantonment at Dugny on the right bank of the Meuse, and its postes at the Fort de Tavannes and the Cabaret Rouge. Section One saw two days of the bombardment which ushered in the battle of the Somme, and then, to their dismay, received orders to move. To have worked for months in a sector, knowing every road, every position, not only of one's own division, but of the enemy's, to know an attack was coming, to prepare for its every possible phase, and then, just as it was starting, to be ordered away, was unquestionably bitter medicine for an ambulance section. But there was consolation in the fact that orders were soon picked up to go to Verdun, and a day later, Section One drew up alongside of Section Eight at Dugny and instantly ran into difficult and dangerous work. Section Eight moved en repos to Lorraine, and Section One soon after received a repos only to go back to the same position for another hard period. The activity at the front was reflected at Headquarters. The five sections had made necessarily large demands for material to keep up their efficiency. New cars and parts had to be sent out without delay. It was at this moment also that heavy repair cars, kitchen trailers, and trucks could be issued to the sections, through generous gifts, thus insuring their capacity and independence as units. Headquarters activity, however, was not confined to the supplying and administration of the sections. The plans of the winter had become realities. The repair park at Billancourt was an actual fact. A large building had been rented within Kellner's factory, where the ambulance bodies were constructed. Machinery was installed, and mechanics were, by May, at work repairing and assembling cars. A large stock-room within the building with each spare part in its own numbered bin was already filled with the first direct shipment from America. In June the park was no longer an experiment. The proof was Section Nine, which, one early morning in the latter part of the month, received its cars there and rolled out to Versailles --- the first step on its long journey to Alsace. In July the Headquarters were thoroughly established and adequate offices permitted independence of action. Extensive dormitories and a refectory offered a home, not only to the newly arrived volunteers, but to permissionnaires(1) and to those returning to America. It was at this time also that Bordeaux and Le Havre became principal points in our sphere of action. Chassis arriving there had to be assembled and driven overland. A group of schoolboy volunteers, only able to enlist for the summer, helped in this necessary work. Thus it was possible to take advantage of those wonderful summer days to lay the basis for the next winter, for it took at least three months from the shipment of a chassis from America for it to be placed in commission as an ambulance. It was at the end of this year that we received the first tangible evidence of the fact that our Service was one that the French felt they could count on as really being a part of their army and not simply an auxiliary service. In September, 1916, the French Automobile Service asked if we could send a section of our light cars to the Balkans, it being their opinion that the evacuation work in that difficult region could be most efficiently done by one of our sections. The request addressed to us to send a section so far away from the base was also an indication of the confidence in which the personnel of our Service was held, although at that time we were only serving six French divisions. It was a request which we felt we should meet, primarily because the men of our Service felt very keenly that wherever the French Army must go, we should go. The French Army had accepted us and permitted us to participate in the greatest battles: Could we refuse, which was technically easy, to go to the Orient because it was not a popular assignment? Section Three did not think so. Their Section Commander, Lovering Hill, and the French Lieutenant, Dérode (who could have refused on account of ill-health), were as eager as the men, many of whom had been with the Section since its formation eighteen months before. Twenty-four hours after the agreement had been made, the Section arrived in Paris, having made the trip from Lorraine. Extra cars and a supply of spare parts for at least six months were furnished out of the stock which had been ordered for just such an emergency. Not many days later, the order came for the departure of the Section, and that night at a freight station in the outskirts of Paris the men boarded the train which was to take them and their material to Marseilles, the first lap of their long journey. The departure of Section Three marked the inevitable closing of a chapter in the history of the Service. It was a chapter of intimate association made possible by the throwing together of less than 200 young men of the same education and ideas at a time when there seemed little hope that their countrymen would take up the cause they had made their own. Furloughs brought men from different sections together in the comfortable home at rue Raynouard, at a time when, more than at any other, Paris reflected the attitude of the soldiers who were defending her at the front. This close association and friendship, afterwards, when the Service grew to much larger proportions, found its expression in the sections. With the Service in France ready for expansion and the French Automobile Service insisting not only that our present sections must be maintained, but that it would be of inestimable value if we could form more sections, it was vital that the American Field Service should make every effort to meet this demand. Since the battle of Verdun it had become evident that the Automobile Service of the army must be developed; that on it depended the quick movement of troops and supplies which so many times afterwards turned defeat into victory. For every sanitary section that the American Field Service could send to the front, an equal number of Frenchmen would be released for other branches of the Automobile Service. With this in view, Mr. Andrew went to America, and with Mr. Sleeper's aid, laid the basis of an organization there which was destined to furnish substantial results soon after. THE year 1917 was destined to be one of little rest for any one connected with the Service. Very shortly after Mr. Andrew's return, two demands came from General Headquarters which proved beyond doubt that they felt they were dealing with a Service which they could count on as their own. They asked for another section to go to the Balkans and for a detachment of ambulances to be sent to the Vosges Mountains in Alsace. The first demand was complied with by forming Section Ten, under the command of Henry Suckley whose long experience and capacity fitted him well for this task. The request for the Vosges Detachment was a tribute to the effective service of the type of ambulance modelled by this Service, for since the example set by Section Three, it was found that no French section could do the work of this difficult region so well. The early winter proved a very hard one for the sections at the front. Sections One, Two, and Four were in line on the left bank of the Meuse and in the Argonne, shifting their stations once or twice, but all taking their turn at the postes of Esnes, Montzéville, Hill 272, and Marre, where the roads were always dangerous even when there was no attack, and always muddy and difficult. Section Eight travelled to the Somme during the last part of the offensive and then travelled back to Verdun on the Bras run. Section Nine took its turn at Bras and then went to Lorraine. Section Twelve came to the front in January, relieving Section One on the Esnes run, getting there its full baptism of fire. An interesting custom began this winter with the giving of farewell dinners to the sections on the eve of their departure for the front. The custom had been inaugurated by Section Nine, but the first two dinners were only informal gatherings. Their tone, however, gave the idea of making them more formal by inviting prominent Frenchmen and Americans, who by their friendly and inspiring speeches made these evenings memorable. What member of Section Twelve will ever forget M. Hugues Le Roux's story of his son who had gone to the battle front with a fresh enthusiasm such as theirs and who, although almost immediately mortally wounded, would not allow himself to be carried back until after his wounded soldiers had been attended to, thus facing hours of agony and torment. A fitting son to the father, who, while thanking these volunteers for the service they were giving his country, taught us all that great lesson of patriotism which was making France supreme. Each dinner had its special charm, but whether the speaker was American or French, soldier or civilian, the theme of service and respect for the country we were serving was always predominant. After the United States entered the war, we heard our Ambassador, at last able to speak as he felt; and at the same dinner, M. Jules Cambon, and later, Captain (now General) Churchill. At other dinners we heard inspiring addresses by Captain Puaux, who had been on General Joffre's staff; Lieutenant René Puaux, who had served on the staff of General Foch; representatives of the French G.H.Q. ; Mr. Frank Simonds, Mr. Will Irwin, President John H. Finley, Abbé Dimnet, and many others. Surely all honor was being paid to the men as they left for their place at the front. In the early spring six more ambulance sections were placed at the disposal of the French armies; Section Thirteen, which went to Champagne and took part in the great April French offensive; Section Fourteen, to Lorraine; Section Fifteen to Verdun, its first car being hit by shrapnel near the poste at Esnes less than fifty-four hours after leaving Paris; Section Sixteen, to the Argonne, where it stayed for nine months; and Sections Seventeen and Eighteen, to the Second Army Reserve. Preparations for the departure of a section. The declaration of war by the United States brought grave decisions for those who were responsible for the Service. The physical fact which stood out on April 4, 1917, was that here in France was a volunteer American organization growing in size and, as it grew, filling much-needed vacancies in the non-combatant branch of the Automobile Service (if the French Army. 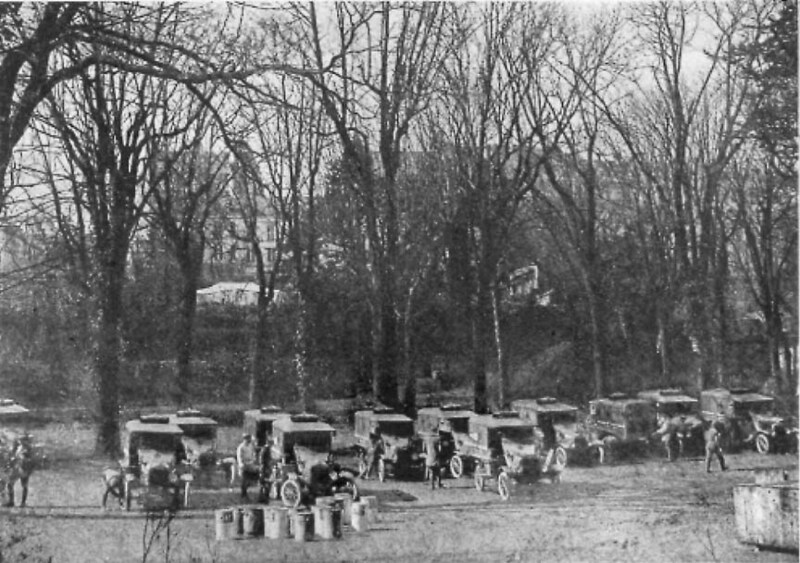 When on April 5, Mr. Andrew telephoned to Commandant Doumenc, the Head of the Automobile Service, and asked him in what way the American Field Service, now that America had come into the war, could help the French Army best, the answer came back immediately over the telephone requesting seven thousand drivers for camions as soon as possible under the same conditions as governed the functioning of the ambulance sections of the Field Service. There was one indisputable lesson the three years of war had taught, and that was that nothing less than the greatest effort in whatever capacity was worth while. Could the American Field Service, whose record had always been to try and meet to its fullest capacity whatever demands had been made on it, refuse now to make every attempt to further its capacity in a branch of service for which it was especially fitted? It would have been easy to have confined our efforts to ambulance sections, the field in which the Service had been working, but its growth would have been restricted to four sections a month, restrictions due to the average amount of gifts being received at this time, due to delay in transportation, due to lack of facilities for building bodies, the only available builders having diverted most of their energies to aeroplane construction. By extending its functions, the Service could be of greater immediate aid to the French Army, at the same time keeping up its output of ambulance sections, and this at a time when there was no indication as to whether the United States would send an expeditionary force, and even if so, how large a one. The decision was taken and a cable was sent to America explaining that volunteers were needed for this new Service, and that hereafter the two branches of Service would be considered as one, volunteers being assignable wherever they could be of most use. The effects of the urgent request for men from America soon began to bear results. Volunteers began to stream over in May and June, as many as five hundred arriving within three days. To cope with this influx, barracks and tents were erected in the garden at rue Raynouard, and a house near by was put at our disposal by the same generous friends to whom we owed rue Raynouard. Three camps were established for the training of these men, their large numbers making Paris now an impossible centre for this purpose. The ambulance camp was established at May-en-Multien, a picturesque farm belonging to a friend of the Service, on the road between Meaux and Soissons, and the transport camps near Dommiers and Longpont, a few kilometres south of Soissons. Volunteers only remained in Paris for such time as was needed to obtain uniforms and necessary papers, being then sent out to the respective camps. The first unit to go to the transport camp was a Cornell unit which volunteered to take up this new work. It was followed by a Dartmouth unit; then by California, Princeton, Marietta, and Tufts units. Dartmouth, Princeton, Harvard, and Yale units were also sent to the ambulance camp, and every effort was made to form them into sections according to their units. Another development of this period was the opening of the French Officers' Automobile School at Meaux to members of the American Field Service, a privilege extended only to Field Service men. This action was taken primarily to train our men so that they would be capable of commanding transport sections, but it was also intended to give the American officers of the ambulance sections sufficient technical knowledge to enable them ultimately to handle their sections without a French officer. It was stated at French headquarters that with the part the American Field Service was now playing, it was essential that their American commanders should be familiar with all the details of the French Automobile Service. The first class was more in the nature of an experiment, and so only fifteen men were admitted, but the later classes were each opened to forty of our men. Now came the period which saw the Service at the height of its development, namely, the spring and summer of 1917. During these months the sections and individuals did work of which they will always be proud. Let us take the ambulance sections first. Section One had moved to the Aisne, just west of Reims, in a sector which, although quiet, cost them two comrades. Nineteen-sixteen history, however, repeated itself, and again they came to Verdun during a great battle, being once more stationed at their old poste on the right side of the Meuse. It was a privilege this time to place their cantonment where formerly they had only dared go to advanced postes at night, but their work was even more difficult and more dangerous in this second great battle of Verdun and they well merited their Army Citation. Section Two, which had been in the Fourth Army Reserve, also came back to its old poste at Esnes and Hill 272, and later at Marre, also its most trying period. Section Four was in Champagne during the French attack of Mont Cornillet with Section Thirteen as its neighbor, the latter also winning an Army Citation. Section Four then moved to Verdun, running now past Bras, on to Vacherauville. Section Eight remained at Sainte-Ménehould. Section Fourteen came from Lorraine for the attack in Champagne, then was sent on repos. 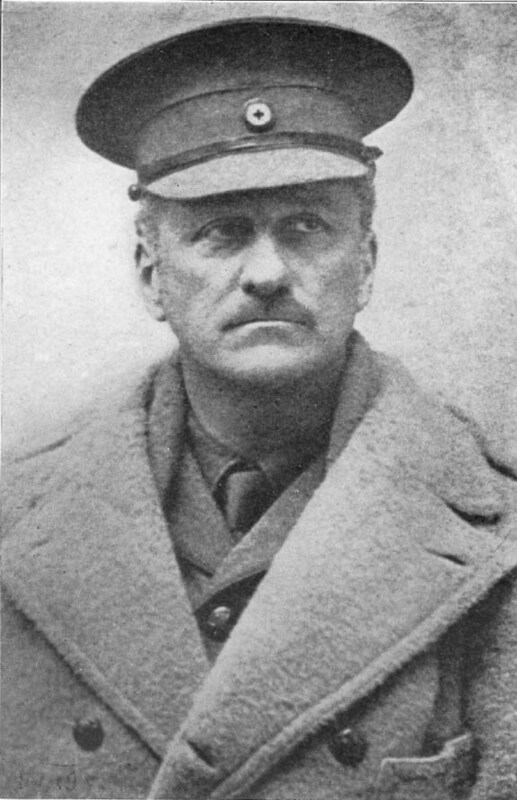 Section Fifteen worked in the Verdun and Argonne sectors, its Commander, Earl Osborn, being wounded as he was taking over a new poste. Section Sixteen remained in the Argonne until relieved by Section Thirty-Three; its poste was to the left of the attacking line, but in the midst of batteries, which made it one of the worst sectors for an ambulance section. Section Seventeen at first evacuated to the rear, but later took over advanced postes to the right of Section Sixteen. Section Eighteen got its chance for a week on the Verdun-Bras-Vacherauville road. Section Nineteen was in the Argonne to the left of Section Sixteen. Section Twenty-Six was in the Saint-Mihiel sector, a quiet one, but earned a citation during an enemy air raid. Sections Twenty-Seven and Twenty-Eight were in Champagne, the latter having the trying and dangerous sector where Osborn was killed and two men wounded during their first week of work. Section Twenty- Nine replaced Section Two on the Montzéville-Esnes run, the nature of the work being evidenced by the loss of Newlin and the wounding of their Chef, Julian Allen. Section Thirty did evacuation work at Dugny, where its men learned Boche methods when aviators bombed and mitrailleused the hospital to which they were attached. Sections Thirty-One and Thirty-Two were both in the battle before they were taken over by the United States Army, the former on the left bank of the Meuse and the latter on the right bank. Section Sixty-Four at first did evacuation work, but it, and Section Sixty-Nine, took their turn later on the Verdun-Bras road. Sections Sixty- Five and Sixty-Six were at the Chemin des Dames, working at postes side by side and made an enviable record in that active sector. Bentley, Hamilton, and Gailey gave their lives in this sector. Sections Sixty-Seven and Seventy were on the Aisne during the strenuous summer activity there which finally culminated in the battle of Malmaison, and Section Sixty-Eight did evacuation work in Champagne. Sections Seventy-One and Seventy-Two were to the west in Picardy in sectors which looked out on Saint-Quentin. Finally far away on the Balkan front Section Three was back in the Monastir sector, after having been chosen on account of its adaptability to the mountainous transport conditions to follow a French division into Greece, and Section Ten was following an Allied advance in the wilderness of Albania. 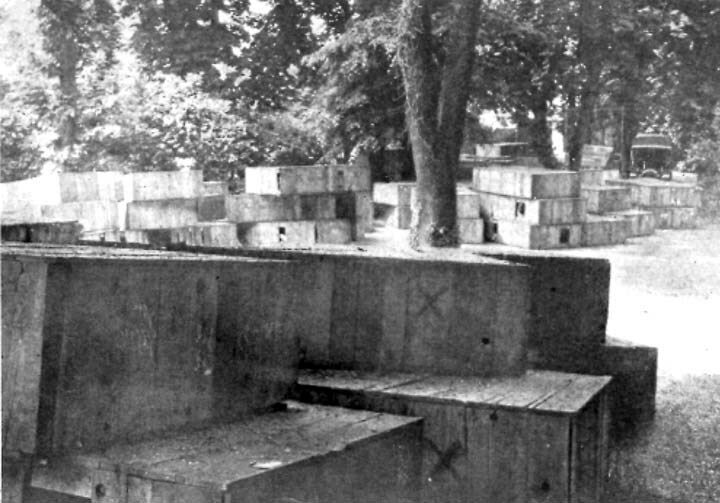 The transport sections, formed in groups in the Réserve Mallet, were busy carrying ammunition and supplies in preparation for the Chemin des Dames offensive. The work of these eight hundred men, although confined to one area, brought them to all the battery emplacements in this region, not only difficult runs, but dangerous as well. The last months of 1917 marked the transition period when both branches of the Service were transferred to the United States Army. The organization of the United States Army did not permit of an automobile service, so the decision was made that the Réserve Mallet would be taken over by the Quartermaster Corps and the Ambulance Service would be taken over by the United States Army Ambulance Service with the French Army, a special bill having been passed by Congress to make possible this new arrangement. There were many volunteers who, through previous experience or through desire, wished to enlist or obtain commissions in the other branches of the American Army. On the other hand, they had contracted engagements as volunteers in the French Army for six months. It was a difficult situation for all concerned, because the French Army was dependent on the Service to its full capacity, especially at a time when hard fighting was going on all along the line. Until the regular army replacements could reach France in substitution for the volunteers who did not wish to enlist in the two army branches with which they were serving at the time, the French Army could not release them from their contracts. As it proved this delay did not impair the chances of these men. The other services were not yet ready to train them and the long list of commissions in every branch of the United States Army received by American Field Service volunteers indicates that there was little loss in opportunity due to the fulfilment of their pledge. THE enrolment of the American Field Service by the United States Army terminated the history of the Service. The record of the organization depended very much on the spirit of service shown by the early volunteers of 1914 and 1915. Their example and understanding became the standard which was passed on, not only in the old sections, but in the new ones, a standard which formed a discipline worthy of the Army to which they were attached. The names of all these volunteers are in the roster, but it seems fitting to recall a few of them whose personality and influence helped especially to shape the Service: Lovering Hill, who arrived in France in 1914, and, beginning with the pioneer days, was given command of Section Three in June, 1915, then after eighteen months on the western front, took his section to the Balkans for another year, his four personal citations proving the example he set; Herbert Townsend, whose leadership of Section One installed a standard which won for that section four citations; Henry Suckley, who, after long service as Sous-Chef of Section Three, took Section Ten to the Balkans, giving his life there in the Service in which, as a leader, he had set an example of devotion to the cause he knew to be right; Robert Moss, in charge of the repair and construction park from its inception until the Service was taken into the Army; John R. Fisher, who so successfully commanded the Ambulance Training-Camp at May-en-Multien; Alan H. Muhr, Controller from 1915 to 1917 and subsequently leader of Section Fourteen; John H. MacFadden, Treasurer, who so successfully aided in the collection of funds in America; Philip K. Potter, who represented the Field Service in command of the Réserve Mallet; and William de Ford Bigelow and A. D. Dodge, with their records of long service as leaders of Sections Four and Eight, respectively, and subsequently their earnest labors and assistance as aides in the Paris headquarters. This chapter deals only with the part the American Field Service played as a part of the armies of France. The record of wounded and supplies carried by the two Services and the two hundred and fifty decorations conferred by the divisions served, indicates the character of work rendered. The recognition by the United States Army of the two Services for which special provision had to be made, a recognition which was made at the request of the French Army, proved conclusively how vital was the continuation of this aid to the French Army. To judge further of its importance, one has only to see the part the Service was playing in the two great battles that were being fought on the western front at the time it was taken over by the United States Army. From July until October, 1917, the Réserve Mallet had transported ammunition, engineering supplies, thousands upon thousands of shells day and night in preparation for the Chemin des Dames attack. The outstanding feature of this attack was the complete destruction by the artillery of all the strong positions of the enemy, which resulted in the infantry attack being such a brilliant one, with few losses. It was the fourteen Field Service sections of volunteer camion drivers serving with the Réserve Mallet, with their French comrades, who transported from the railheads to the batteries practically all the ammunition. Recognition of this fact is seen in Commandant Doumenc's report to Mr. Andrew in which, referring to the Transport Service, he says: " C'est elle qui a assuré la plus grosse part des transports de munitions, au moment des attaques heureuses qui portèrent la 6' Armée sur l'Ailette." In the Verdun offensive in which the French regained in a few days all the territory which they had lost to the Germans in the great battle of 1916, American Field Service sections attached to divisions evacuated the wounded in practically every sector of the Verdun front from Sainte-Ménehould through the Argonne on both sides of the Meuse, and as far as the Saint-Mihiel sector. Sections One, Two, Four, Thirteen, Fifteen, Sixteen, Seventeen, Eighteen, Nineteen, Twenty-Six, Thirty, Thirty-One, Thirty-Two, Sixty-Four, and Sixty-Nine took part at one time or another. The effectiveness of their service gained for them a place in the headlines of the Intransigeant, the popular evening newspaper of Paris, where in referring to the progress of the battle it was stated: "Et surtout les ambulances américaines ont marchés à merveille." 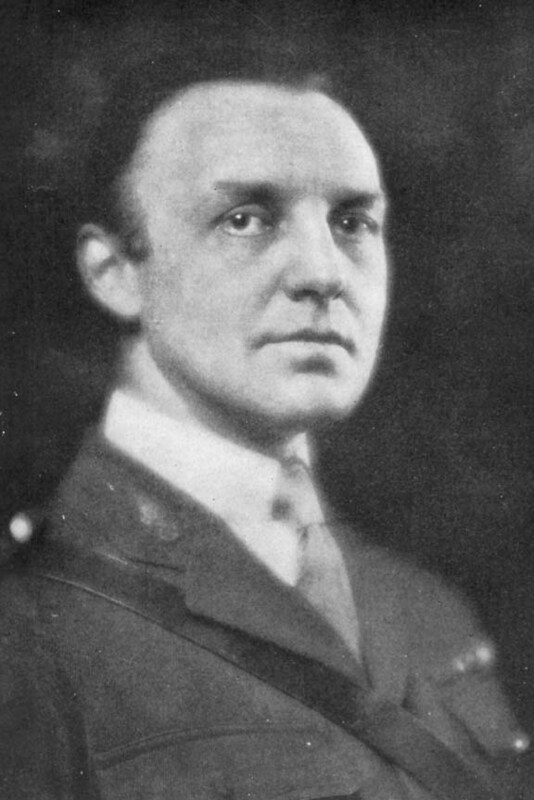 *Served continuously in France from September, 1915, until May, 1919; member of Section Three in 1915; Assistant Head of the American Field Service from January, 1916; Commissioned Captain in the U.S.A. Ambulance Service in October, 1917, and later promoted to Major. 1. The Field Service volunteers were treated as French soldiers, receiving permissions every four months.